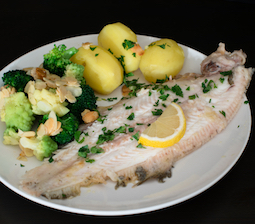 This dover sole recipe is very straight forward and quick to cook. It's pan fried and left whole. 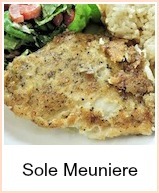 You use the buttery juices to make a sauce to pour over the fish when you serve it. Leave the skin on so that the fish keeps its shape - if you prefer, you can skin the brown side, but leave the white - it crisps beautifully and is very tasty. 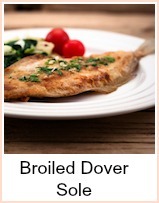 The dovers need to be two to three days old - the exception to 'fresh is best'. Cook them gutted and whole but you can get your fishmonger to take the heads off if you prefer. Serve with some buttered new potatoes and a salad - as the cooking time is short, get your side dishes ready before you start. Heat half the butter in a large frying pan. Dip the fish in the milk then into the flour to coat. Pan fry for about 4 minutes each side depending on thickness. Transfer to warmed plates whilst you finish the sauce. Add the other half of the butter and the lemon juice to the pan. The juices in the pan should be golden brown and slightly crusty from the flour. Scrape all round to get the juices from the pan and heat until it's bubbling. Add the parsley and stir. 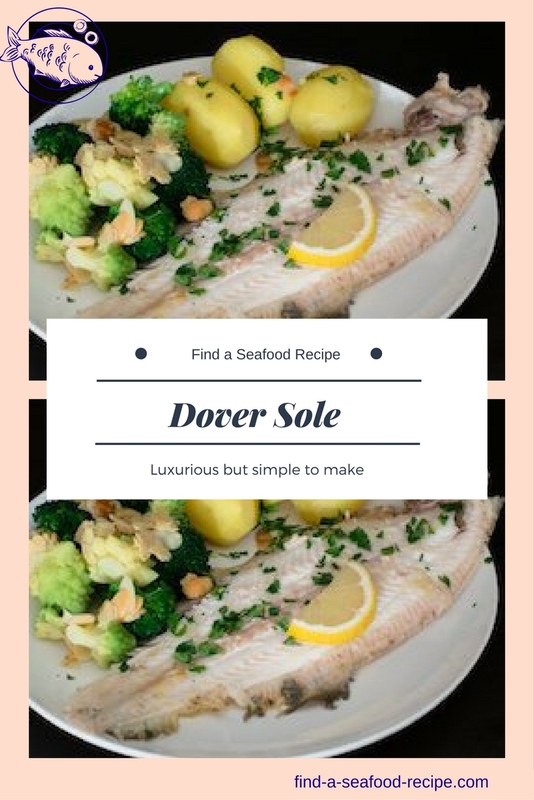 Pour evenly over the dover soles and serve. This method works well for any flat fish - so plaice, dabs, lemon sole, flounder are the main types you'll find in the shops or catch yourself. It's worth doing a bit of shore fishing on the off chance of catching 'dinner'. This link here takes you to the British Sea Fishing site where it gives you a list of commonly caught fish from the sea shore. Obviously if you want to go deeper, you might be lucky enough to catch a halibut! The species are pretty similar in the US as well, but that depends more on whereabouts you are - south being much more exotic species of course! 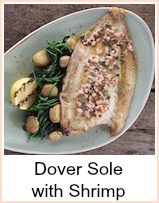 Dover Sole needs very little in the way of adding flavour. It is such a beautiful fish, all you need is some butter for cooking and parsley to garnish.